As reports emerge suggesting that Donald Trump may nominate Rudy Giuliani as secretary of state, we get yet another window into the type of administration Trump hopes to create: one that, it seems, won’t back away from the president-elect’s racist rhetoric, his calls for war crimes, or his unfounded claims that the U.S. has succumbed to a massive crime wave, necessitating “law and order” governance. The possibility of a Giuliani appointment also raises questions about Trump’s commitment to “draining the swamp” of insiders connected to special interests and foreign governments. 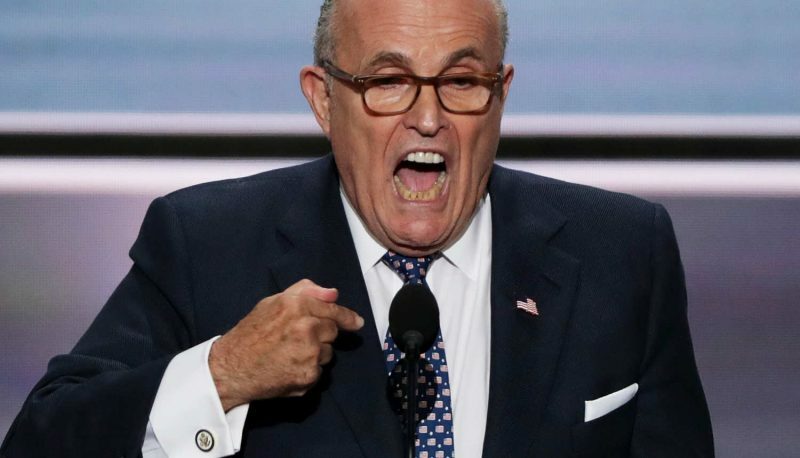 After serving as mayor of New York from 1994 through 2001, when he oversaw the city in the immediate aftermath of the September 11 attacks, Giuliani became involved with security consulting and lobbying. Giuliani ran unsuccessfully for president in 2008, relying heavily on the global reputation he built for his handling of the attack on New York. Although that effort failed, he emerged as a top critic of President Obama, claiming that the U.S. has become ridden with crime under Obama’s leadership, while often boasting of his own criminal justice record as mayor of New York City, a record that has come under criticism for his exaggerations and abuses. Throughout Trump’s campaign, Giuliani appeared on the candidate’s behalf in the media and at campaign rallies. Trump, in turn, has showered praise on the former mayor, claiming that he wants to spread Giuliani’s signature “stop-and-frisk” policy, which disproportionately targeted African-Americans while doing little to curb crime, nationwide. While he was originally floated as a possible attorney general, multiple reports are now claiming that Giuliani is under consideration for the office of secretary of state, something that should raise eyebrows due to his connections to foreign businesses and governments, hostility to criticism and stunning view of international law. As one of Trump’s top campaign surrogates, Giuliani spent months vocally defending Trump’s comments, no matter how inane, shocking or dangerous. “Until the war is over, anything’s legal,” he said, before claiming that Trump didn’t actually want to take the oil but merely sought to secure the oil fields from terrorists. (Trump did in fact say that he wanted the U.S. to take the oil). Despite Giuliani’s assertion, legal experts believe that Trump’s plan is blatantly illegal. Trump has made clear that, as president, he intends to go after his detractors and undermine the freedom of the press. Putting Giuliani in his Cabinet would give Trump an ally with similar contempt for dissent. Despite his law and order message, Giuliani has a vindictive streak and has used the levers of the state to seek vengeance on his critics, whether it be HIV/AIDS activists or a New York resident who complained to him about a traffic program. Giuliani once memorably tried to censor a New York art museum and, during his 2008 presidential campaign, appeared to call for the censorship of a MoveOn.org ad criticizing General David Petraeus. Giuliani understood that the currency of oversight is information, and he exercised more control over information than any mayor in recent memory. His administration denied information to the public, borough presidents, the city council, and the public advocate. It improperly concealed policy decisions, contract announcements, and routine business. It forced good government organizations to file Freedom of Information requests for data they had once been given as a matter of practice, including such information as the number of working drinking fountains in public parks. Once, the city even denied a Freedom of Information request inquiring how many Freedom of Information requests had been denied. A plum position for Giuliani would also contribute to the growing evidence that Trump’s commitment to “drain the swamp” of Washington lobbyists was nothing but a con. Since 2005, Giuliani Partners and its Giuliani Security & Safety (GS&S) unit has provided security consulting and advice in Qatar through contracts overseen by the country’s Interior Ministry, which is currently run by a member of the royal family who has long been accused of supporting al Qaeda, according to security consultants familiar with the area. The current interior minister, Sheik Abdullah Bin Khalid al-Thani, was suspected of sheltering Mohammed at his farm and tipping him off to the arrival of CIA and FBI teams coming to arrest the al Qaeda strategist back in 1996, according to the National Security Council’s former chief counterterrorism adviser and ABC News consultant Richard A. Clarke, former CIA agent Robert Baer and a 2004 Congressional Research Service report. 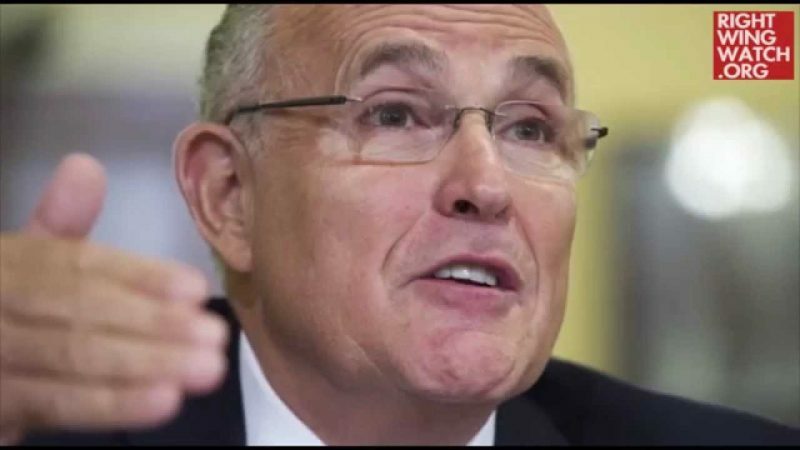 Giuliani also emerged as a top defender of a group called the People’s Mujahedin of Iran, also known as the PMOI or MEK. The group was designated as a foreign terrorist organization “due to its involvement in the killing of U.S. citizens in Iran in the 1970s and an attack on U.S. soil in 1992.” Then-Secretary of State Hillary Clinton removed the group from the list of terrorist organizations in 2012. 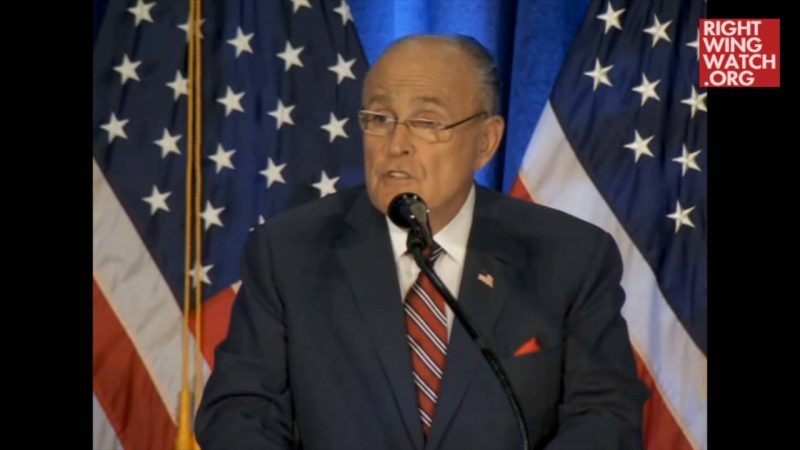 While the MEK was designated as a foreign terrorist organization, Giuliani frequently spoke on its behalf, and appeared at its events alongside other U.S. officials from both parties, who were often “hired through their speaking agencies and collecting fees of $10,000 to $50,000 for speeches,” according to The New York Times. Giuliani and others faced heavy criticism for their paid sponsorship of a designated terrorist organization that has been linked to human rights abuses and described as a “totalitarian cult,” but he denied any wrongdoing. Politico notes other Giuliani ties that should raise questions if he enters the Trump administration, including coal interests opposed to climate change reforms, Keystone XL pipeline owner TransCanada, and oil interests, including his work for Saudi Arabia’s oil ministry and the Venezuelan state-owned Citgo. Giuliani also “signed a multimillion-dollar deal with a struggling Los Angeles business backed by investors with a history of securities-related charges,” USA Today reported. And this is to say nothing of the former mayor’s relationships with disgraced police commissioner Bernard Kerik, who was sentenced to four years in jail in a corruption case, and Msgr. Alan Placa, a Giuliani friend and colleague implicated in the Catholic Church’s child abuse cover-up. It seems Giuliani, for all the wrong reasons, would fit in just fine in the Trump White House.